I find it difficult to accurately convey how much I dread that feeling of regret when, after having had high expectations for a movie, you put it in the player and it turns out to be truly awful.Those two hours of wasted life can never be reclaimed but fortunately for all of us I know of a website designed to prevent such incidents arising in the future. 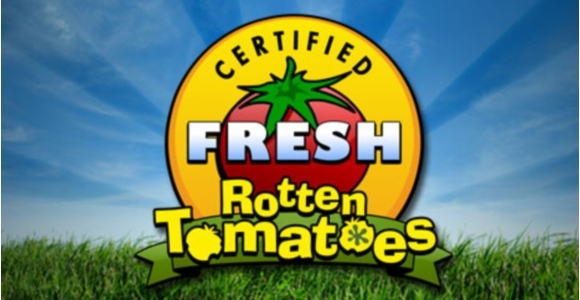 I am aware that film critics have been around for as long as the movie industry itself, however the opinion of one person can very rarely be trusted.For this reason I’ve started relying on a website called Rotten Tomatoes to do a little bit of quick research before I decide to rent a film. Rotten Tomatoes compiles the reviews of dozens of movie critics for any given film and works out an average rating after taking all these opinions in to consideration.Whilst it could be argued that one mans rubbish is another mans gold, this website will at last be able to get an idea of whether you’re likely to enjoy the film or not.In order to aid your decision, users are also invited to submit their own ratings and reviews online so that you get a more objective opinion than simply that of a critic. -The average rating of the movie based on the critic reviews along with a chance to read each individual review in full. -The average user rating of the movie which is made up using information submitted from other users of the website. -Information on the DVD itself such as running time, special features and format. -A movie synopsis which rarely contains any spoiler material which would affect your enjoyment of the movie. -DVD Photo Stills and Theatrical Trailers. -Movie Mistakes section.This is usually quite good if you enjoy picking a movie apart by spotting up factual inaccuracies or that reflection of the cameraman in the mirror. Rotten Tomatoes also includes news, interviews with actors and directors, a forum where users can get together to discuss any aspect of any given movie, and various random features – last month for example they had the Halloween themed ‘Top 50 horror movies of all time’.Dotted around the site are a number of charts indicating movies that have recently hit the box office or been released on DVD and whether they’re worth watching or should be avoided. Not wanting to be restricted to just movies, Rotten Tomatoes also caters for gamers with a similar system which allows you to research video games prior to purchase; perhaps this could be particularly useful for clueless parents in the run up to Christmas? Of course, I do know there are circumstances where you will enjoy a movie that others have hated and I certainly don’t think that you should live your life avoiding the unknown based purely on the opinions of others.That having been said, I’ve personally found Rotten Tomatoes to be an invaluable and free resource.By taking the opinions of dozens of critics and hundreds of users, you should be able to work out which movie is right for you to watch this evening.